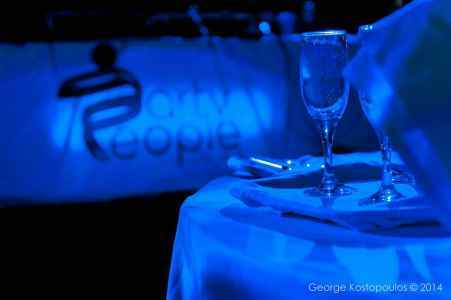 The best advertisement for us is your own party! 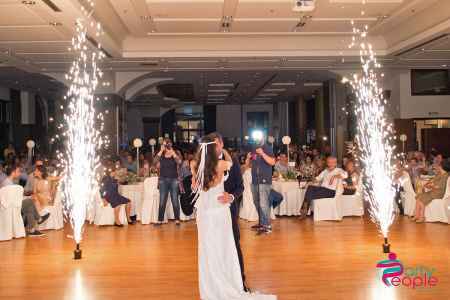 After many years of experience we acquaint excellent the event organization providing high quality service and always with a great sense of responsibility. 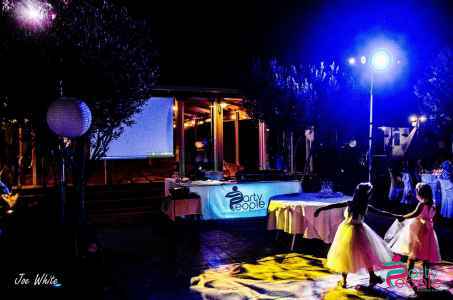 We try your own event to have the best treatment according to your own requirements. 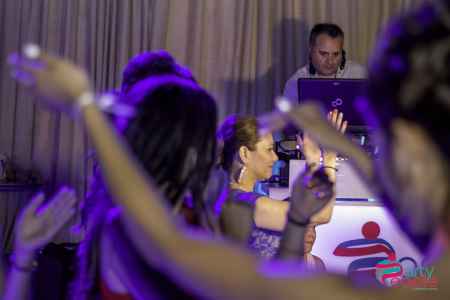 For us every event is a new challenge and requires a different treatment. My colleagues and I, we are a creative group of people with many years of experience in the field of entertainment. We have joined our forces, knowledge and imagination, and above all, our love for music. 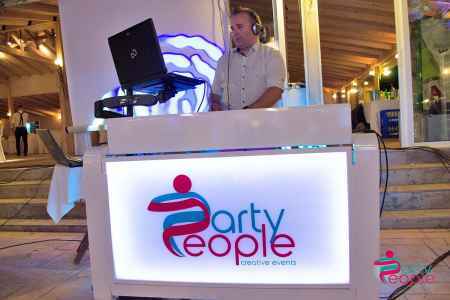 Express and give us your own aesthetics for your party and we will implement them providing flexible and creative suggestions customized to your own profile. 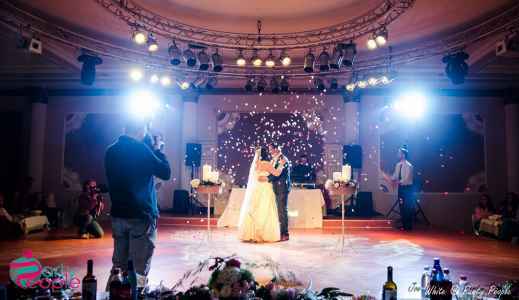 The sound coverage is very important for the proper outcome of the event.Following the on-site review of the hall or place of the reception we make the plan with the right distribution of audio for proper acoustics during your event.We have high technology equipment and we can support any type of event.Ιn case of emergency we have available sound coverage of the event (back up). 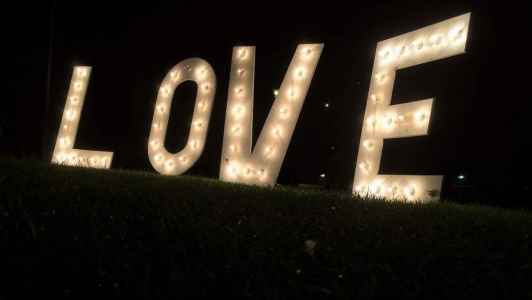 If you wish your event to have something different this is the detail that makes the difference on your event. 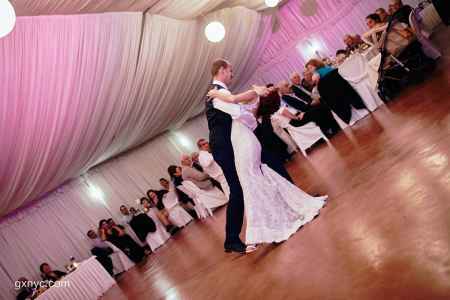 We recommend you to use a dance floor if your reception area has grass or dirt. We can cover every kind of orchestra. If you wish something special for the process of welcoming your guests different from the ordinary. 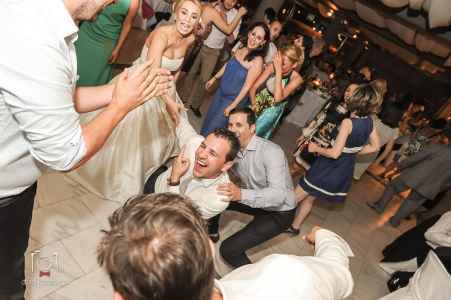 We can make the process of welcoming the guest a premium event that everyone will remember forever! 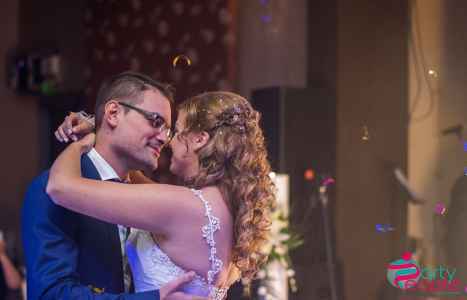 We choose the best among thousands of songs to plan your own program. 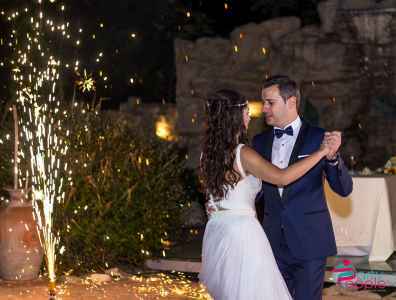 Your desire is your guests of different ages and geographical origin to be satisfied and have fun until the morning making your wedding day a day that everyone will remember. 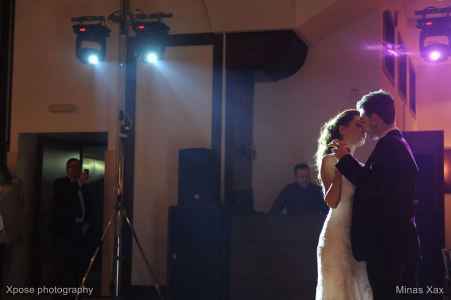 Together we will choose and will plan your event from the first song to the very last. We can also suggest another plan, something different from the usual!! Traditional songs related to our geographic origin. You can choose from a rich record library with modern songs performances that would not irritate your listening preferences. 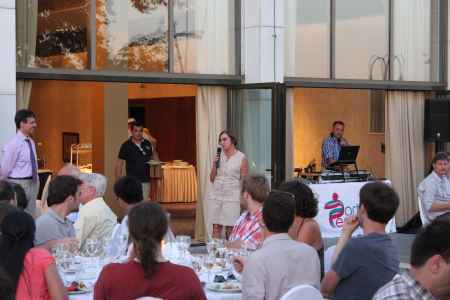 For instance some types of traditional songs: bolts Islands, Crete, Kalamata, Thrace, Epirus, Sarakatsans, Pontiac, etc. 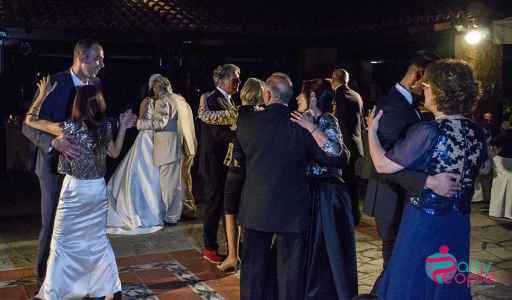 Another part of the program is folk music separated generally to hasaposerviko, oriental, zeybek music etc. Dance songs of today and yesterday. Only hits!! Another important part of the program is the foreign music. 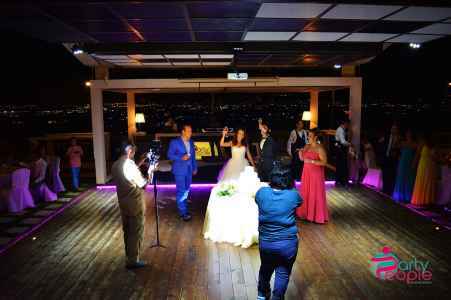 Here we pay special attention because it consists of many types of music and lasts until the early morning hours. Following a discussion with you we analyze the profile of the guests, and the musical sounds that interest them. 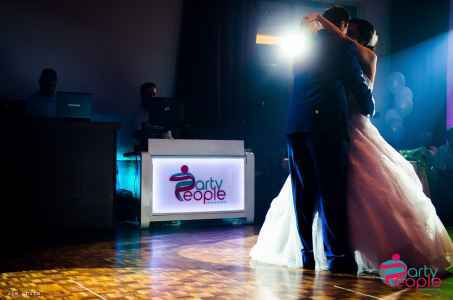 We will respond to all your questions and together we will plan your event program by adding your own songs and wishes of your own people for a night that will be unforgettable to all your guests! 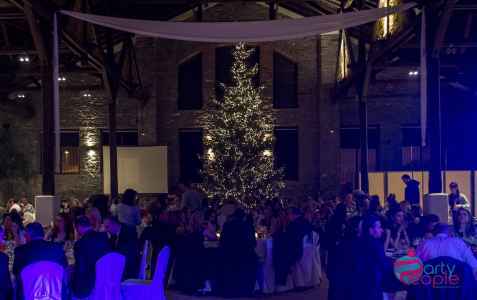 We clarify that there is no time limit to the event, the Party ends only when the customer wants to! 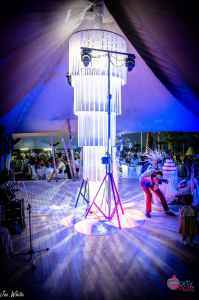 Each event has its own specific features and requires organization and planning for the desired effect. 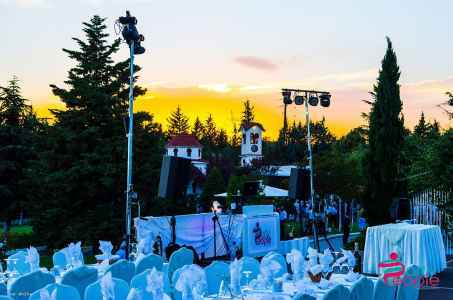 We place great importance on personal contact with the customer and treat each event as unique and different. 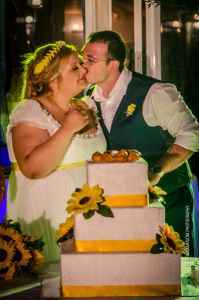 Use the login details given to you to view our photos! If you do not have access, please contact us to send you. Our guaranty is our happy customers! 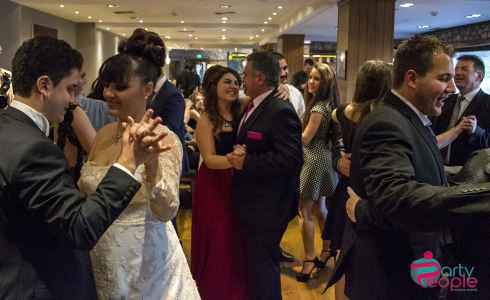 Read on our Facebook page the customer reviews from those that trusted us for their event. Amazinggggggggg experience. 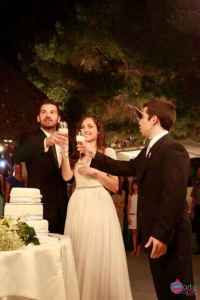 Dimitris and the team were the cherry on top of the cake. 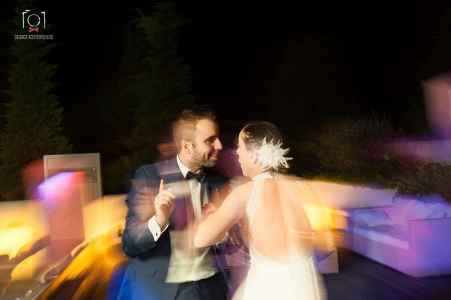 Great mix for our first dance, incredible balance of Greek - english - spanish and ducth songssss. Dimitris can playyyyyyyyyyyyyyyyyyyyyyyyy. You Rock :). Thank you so muchhhhhhh. Untill the next partyyyyyyyy. NB together!! 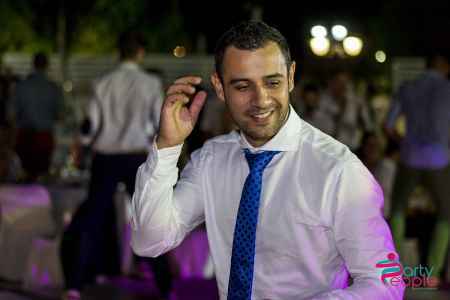 Was such a great night..the music,the energy,the people..great vibes :)thank u Dimitris that u made the day of my family more special!!! Dimitri is the best!!! 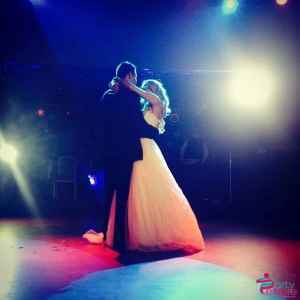 Our wedding night was amazing. We danced on the beach until sunrise!!! We answer to all your own questions and help you to have clear view on our services. 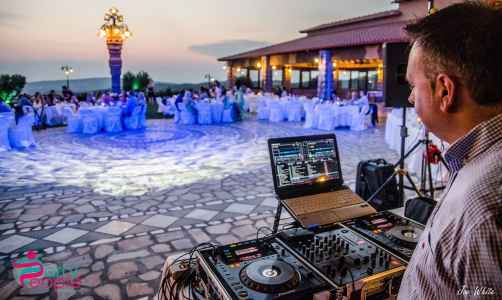 01 - When should I book DJ? Along with the closing of the church and the place of reception you would get us a call for a first appointment. I would point out that our dates are closed early, and one reason is that we have couples from abroad closing the whole package early. 02 - Is there a time limitation?? What time do you turn off the music?? 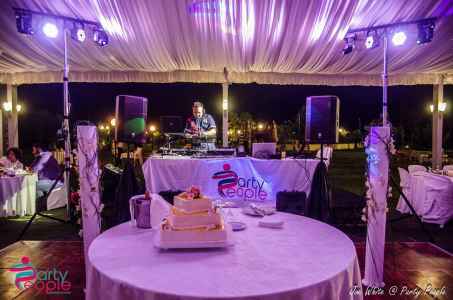 There is no time limitation to your event. The Party is over only when the customer wants to. 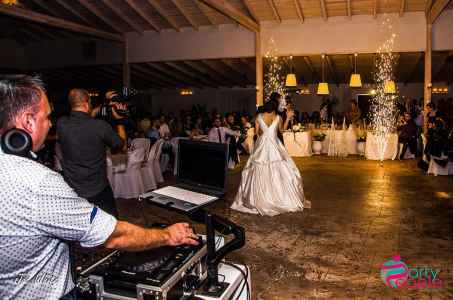 It would be advisable to have a clear answer from the person responsible for the reception space until what time we may be in the reception place, and until what time can we have music without turning down the volume. 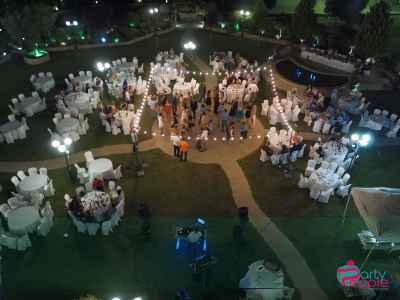 03 - Can you cover an event out-of-bounds of Thessaloniki? 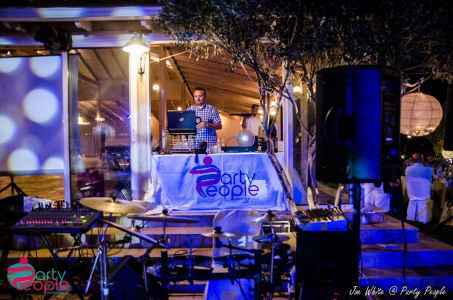 Whichever part of Greece is plugged in, we can play for you and your special guests the music you want. 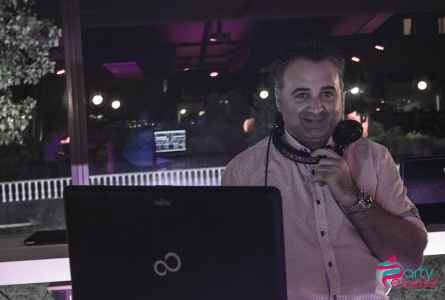 04 - On which ways and means can you help us to organize the music list of our event? Very easily! We make an appointment at our office and we will provide an update to all your questions. 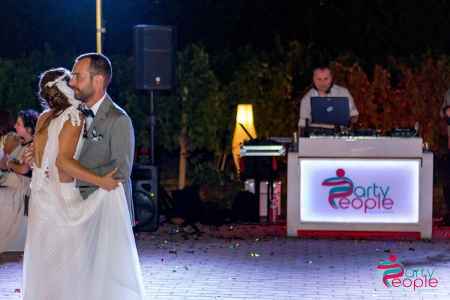 Together we will set the music list of the event, adding your own songs as well as the wishes of your own people for a night that will be unforgettable for all your guests! 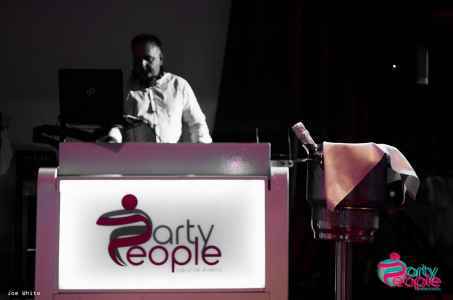 05 - Does the Party People company provide legal receipt? We issue the appropriate receipt or invoice. 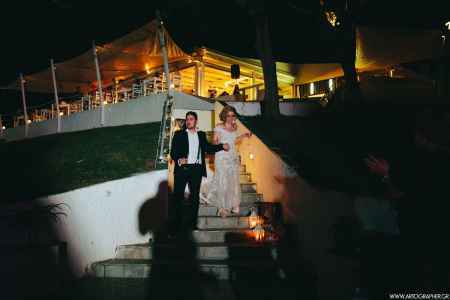 06 - Why should I choose you for my event / my reception / my Party? Because you listened to our music in a friend's wedding and asked for our card. Because someone said to you the very best for our music. Because when you view comments, photos and videos on our website, you will understand why people choose us for such an important moment. 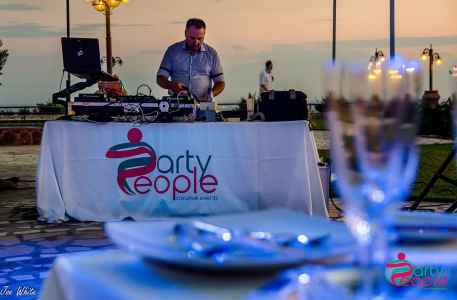 Because we are professionals and we respect the personal contact with the customer and we treat each event as unique and different. 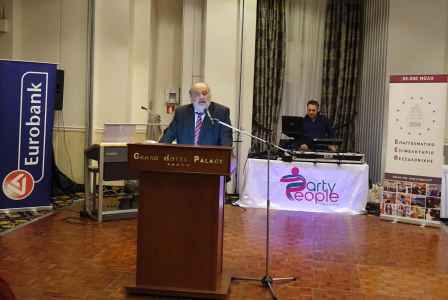 Βecause the best advertisement for us is your Party. 07 - We have booked an orchestra ... is it possible to have DJ too? 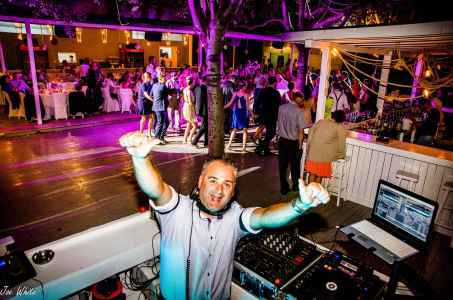 We can adapt to any kind of event and fill in the gaps left by an orchestra, outlasting your Party until the morning. 08 - Is it possible to hear and see the equipment (sound and lights) you will install the day of the event? Yes there is this possibility; during our appointment at our office. 09 - What music do you play? 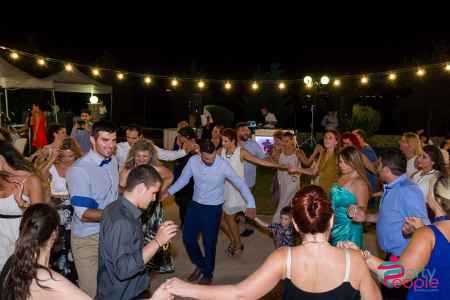 We just play the music your guests want, and whatever suits the style of your Party and the temperament of your guests.Foreign and Greek songs of today and yesterday. Only hits!! 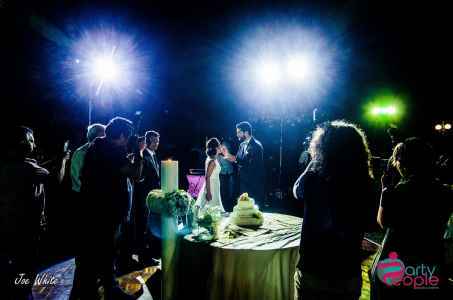 If you want to design a dream and unique wedding with a different approach to party lighting. 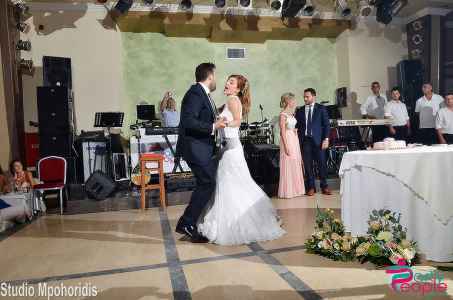 The surprise of Aris to Maria will be forever engraved in the memory of all guests. 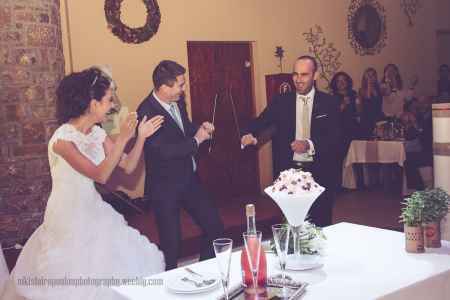 Bastiaan & Nikoletta Party All The Time! 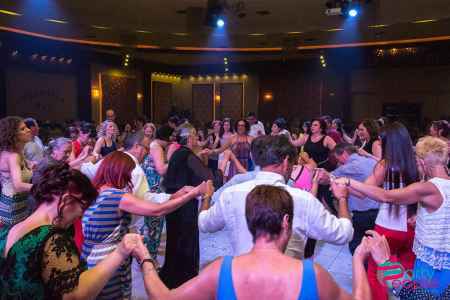 A Party at the Pomegranate Wellness Spa Hotel that will be remembered by friends and relatives! 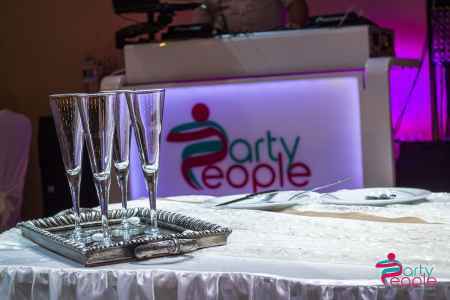 Copyright © 2019 Party People Creative Events. All Rights Reserved.  Designed by G-Soft.